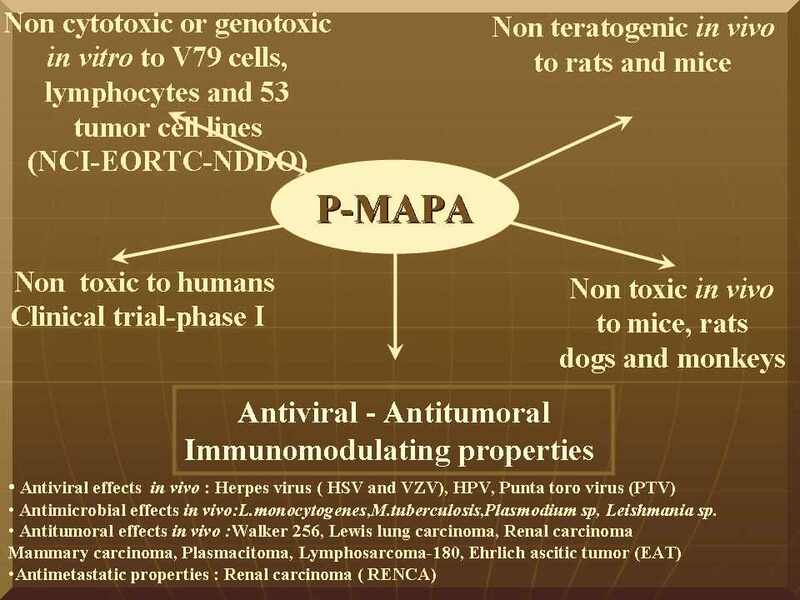 Immunomodulators ( P-MAPA) and chemotherapeuticals ( Violacein). P-MAPA : A biological response modifier, produced by fermentation from A.oryzae under development by Farmabrasilis. Herpes virus ( HSV and VZV), Human papiloma virus (HPV), Punta toro virus (PTV), Parvovirus and Canine distemper virus. Listeria monocytogenes, Mycobacterium tuberculosis, Plasmodium sp. and Leishmania sp. Carcinoma de Walker 256, Lewis lung carcinoma (3LL), Renal carcinoma (RENCA), Mammary carcinoma, Plasmacitoma, Lymphosarcoma-180, Ehrlich ascitic tumor (EAT), non-muscle invasive urinary blader cancer, pancreatic cancer and ovarian carcinoma. In contrast with most if not all other immunomodulators, it has an ample safety margin for clinical use, since no significant side effects have been observed in any of the experimental models tested. 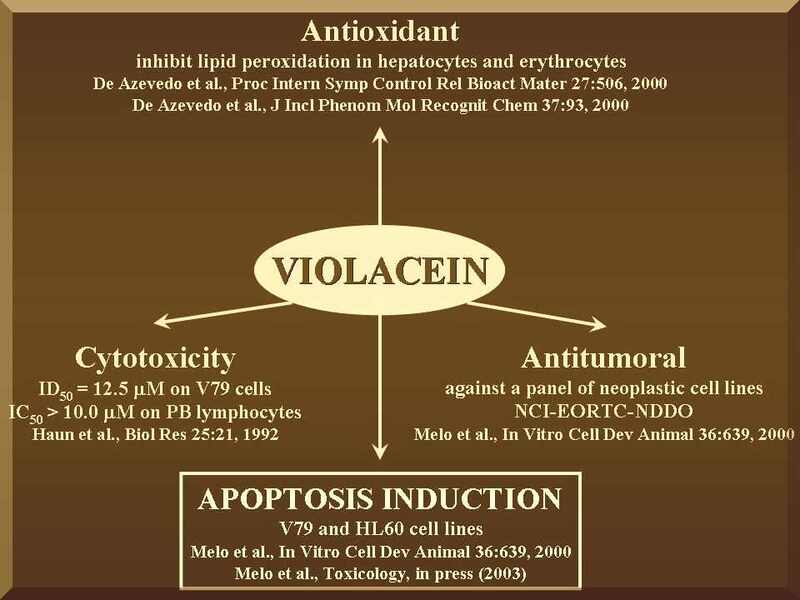 Violacein and derivatives : Molecules with cytotoxic, antibacterial and antiparasitic properties, under development by Farmabrasilis as chemotherapeutical for cancer. Studies in animal models: in progress.